I couldn't be more thrilled. 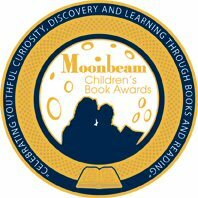 Two of my books have been short-listed for the new Moonbeam Children's Book Awards What's That Sound? by the Sea is one of five titles short-listed in the Board Book category. The Smell of Paint was a semi-finalist in the Young Adult Category. Here are the full list of semi-finalists in these two categories. A winner (gold medalist) and runner-up (silver medalist) will be announced in each category during the week of October 15-19, and remaining semifinalists will become bronze medallists. A formal awards presentation will be held on Saturday, November 3, in conjunction with the 2007 Children's Humanities Festival in Chicago. Just wanted to congratulate my fellow finalist! Isn't it cool that in the YA category, *3* of the semi-finalist books are from Canadian publishers? I think it just goes to show how great our YA is! So true Maggie and congrats to you too! I only wish they would have put the author's names in so we could have been celebrating together a little sooner.